Aside from designing impressive masterpieces here at MJM+A Architects, we have created a new brand which allows children to build on their instincts of designing and imagining. As designers we view it as our responsibility to encourage and challenge children to not only imagine a better world, but to spark the passion to design it. 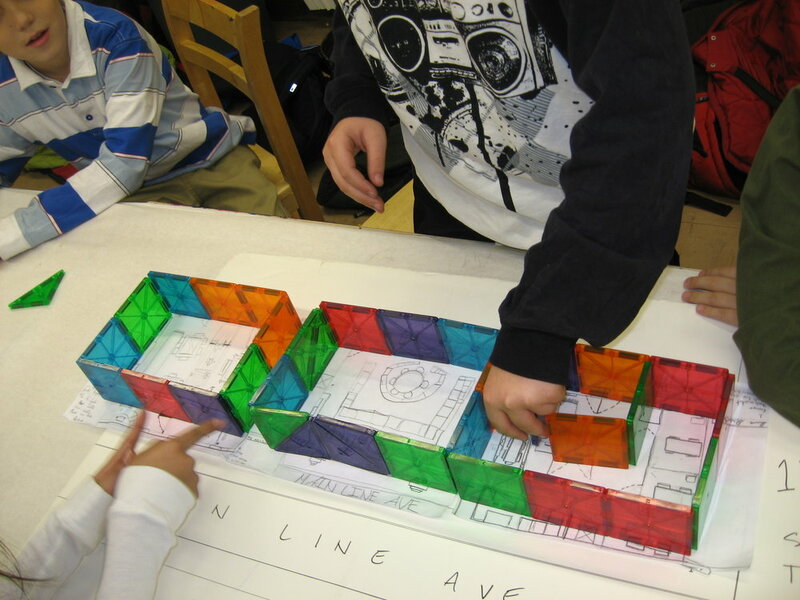 Michael Macaluso with Architots children in his office showing blueprints of a new building. 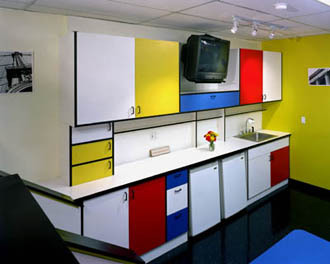 Architots has cut a distinct niche in the children's marketplace guided by our motto of Dreaming, Drawing, Designing. Architots is a design based children's brand with the goal of changing the way that they experience their built surroundings. Our curriculum for children partnered with our unique media, multi-use children's spaces and merchandise continues to provide parents with truly creative alternatives for their children. Skylar "Sky" Scraper and Murphy her trusted sidekick. Or Sky, as she’s known around the Architots playground, is our flag bearing mascot of the brand. She’s smart as a whip, with a taste for adventure, and a love of what all kids learn with their first set of blocks… building! She embodies the very spirit of the Architots motto of dreaming, drawing and designing. Through her adventures back in time (without ever really leaving the playground) she takes the viewers, or Architots as they’re known around here, to the construction sites of the most important structures around the world presenting them to the kids as examples of simple Architectural ideas! 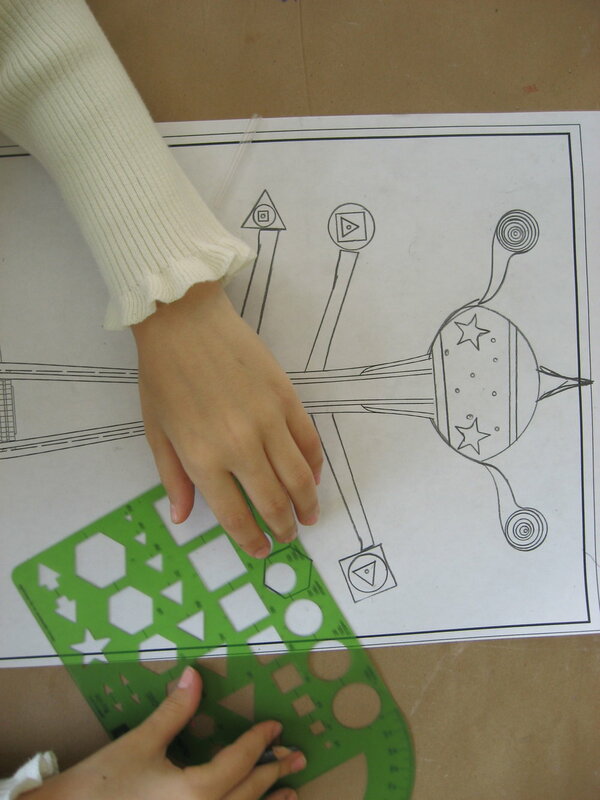 It also helps that all of the playground toys are based on these same ideas that the Architots can relate to. Children in our Architots @ School program. 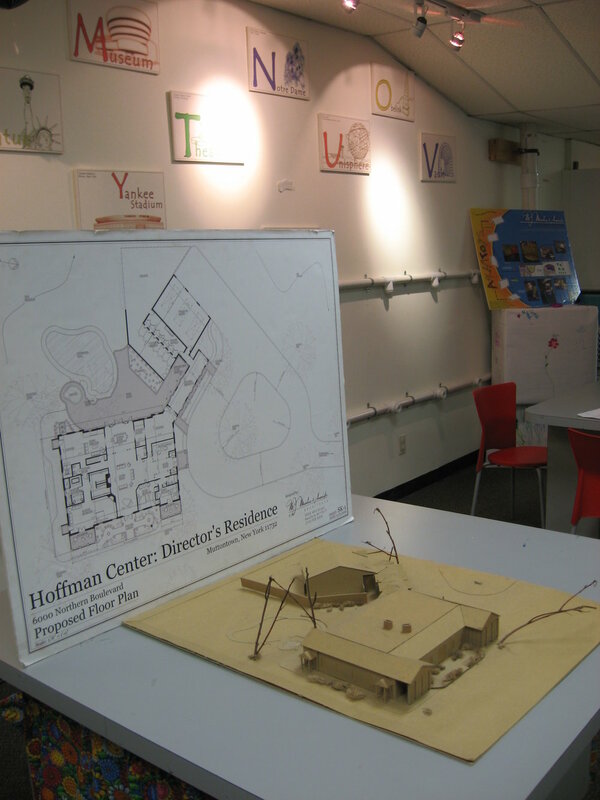 We can work with you to custom design a unique, age appropriate, enrichment curriculum introducing the basic concepts of Architecture and design for your students at your location. As a contracted vendor with the NYC Department of Education, all of our instructors are registered to work with students in their classrooms. Sessions are normally broken down into 10 week blocks (1 session per week) of a math/science enrichment model, an art/history enrichment model, or a combination of the two. 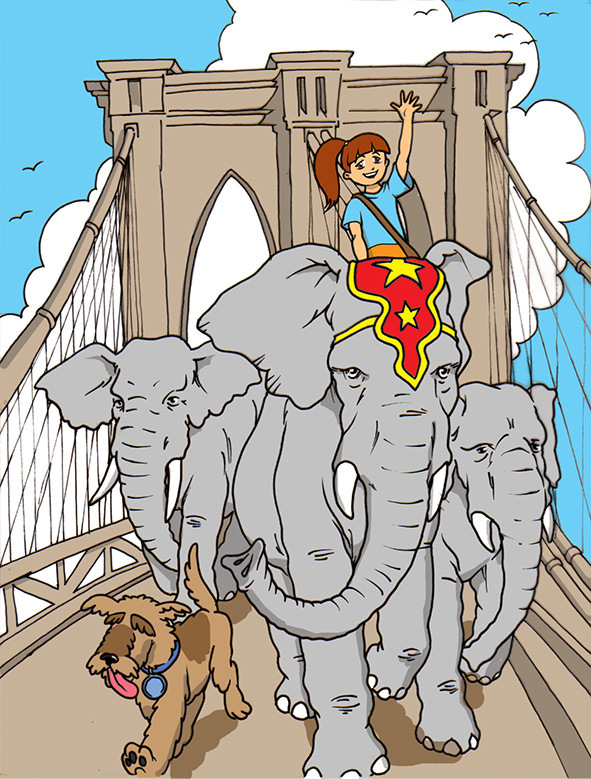 Skylar is a young girl who is always ready to be our exciting tour guide of the great construction sites of the world. She's what all Architots look up to; a shining example of open minded curiosity. 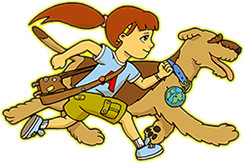 With her trademark pencil behind her ear, her Architots Travel book, Architots side pack, and her trusted companion Murphy, Sky is sure to spark imaginations! Sky never leaves anywhere without her best buddy Murphy the Airedale. With quite the nose for adventure himself, he's with our heroine every step of the way. Not only as a comedian of the pair, but as a true partner. 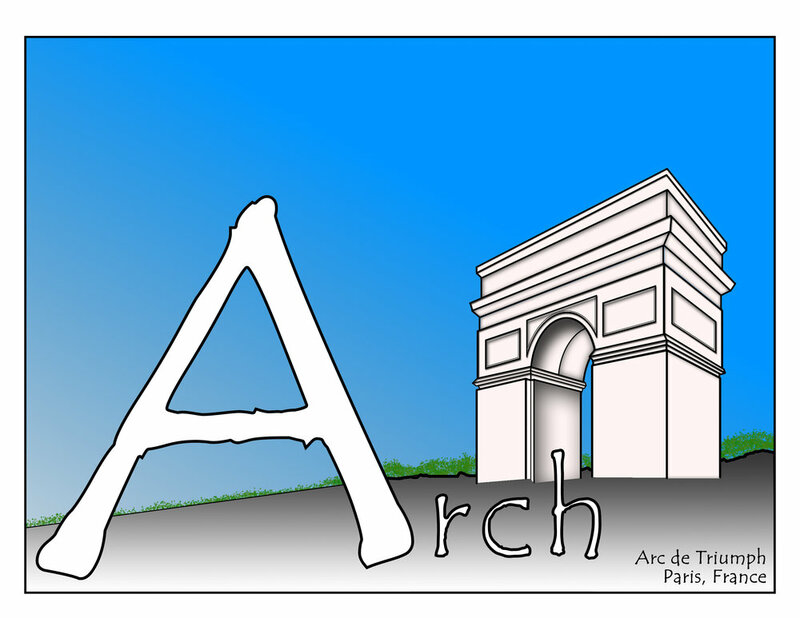 Each episode's adventure begins at the Architots Academy and is based on the Nationally Recognized and Award Winning Architots Passport Curriculum of lesson plans designed to introduce basic architectural experiences to children. Our motto of Dreaming, Drawing and Designing was present in every aspect of the designing of the studio. From the curved walls and accesable ramp, to the plexiglass wall showing the beams and wiring to the hands-on Pipe Wall Installation, and our Mondrian inspired cafe, the studio was designed to challenge the notions of what a truly interactive space can be.